You are currently browsing the tag archive for the ‘Monika de Vries Gohlke’ tag. 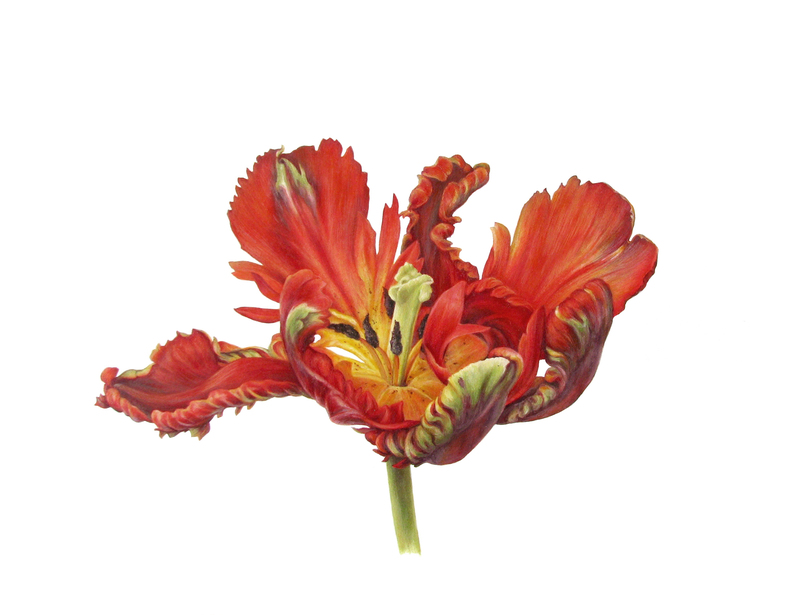 Open Parrot Tulip, oil on paper, © 2016, Ingrid Finnan. In San Francisco? Arader Galleries is currently exhibiting Outside In: Contemporary Natural History Artworks, from September 9 – October 12, 2016. Original artworks are on display by seven ASBA artists, including Francesca Anderson, Jean Emmons, Monika de Vries Gohlke, Ingrid Finnan, Asuka Hishiki, Catherine Watters and Carol Woodin. An article by ArtPlantae has information about each artist, with links to their websites. In addition to the exhibition, Outside In, Arader Galleries will also feature the Highgrove Florilegium at the same time. Both volumes of the Florilegium will be on display, capturing HRH The Prince of Wales’ celebrated garden at Highgrove in 124 paintings by contemporary botanical artists from around the world.